Happy Birthday Cupcake Photoshop Wallpaper and Brush Pack - Free Photoshop Brushes at Brusheezy! Happy Birthday to YOU!! To celebrate all your friends' and family's birthdays, you should surprise them with a sweet homemade cupcake! Doing that will be easy with this new Happy Birthday Cupcake Photoshop Wallpaper and Brush Pack. Included in this pack is a highly detailed birthday wallpaper, and the cupcake brushes to go along. 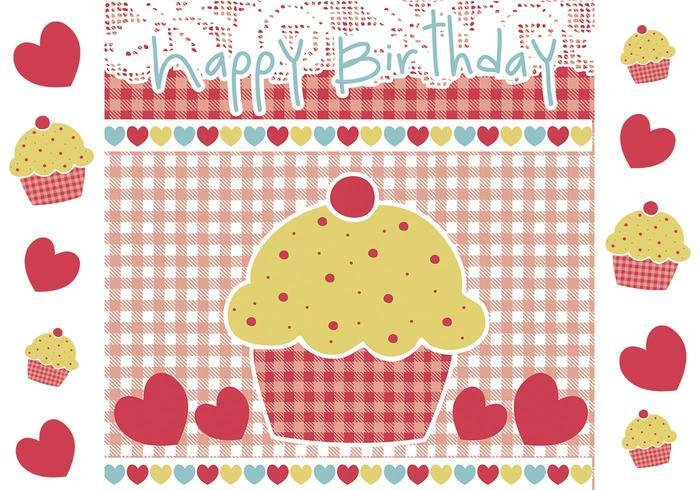 Head over to Vecteezy for the vector version and download the <a href="http://www.vecteezy.com/Backgrounds-Wallpaper/36891-Happy-Birthday-Cupcake-Vector-and-Wallpaper-Pack/premium">Happy Birthday Cupcake Vector Pack</a>!